Bedspreads and comforters make any bedroom cozy as well as keep us warm on cold nights. But when it comes time to clean them, the tags almost always say to dry clean only. Well unless the bedspread or comforter is make of very expensive material, there is really no need to spend money on dry cleaning it when you can simply wash it yourself. 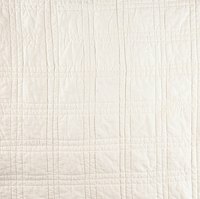 Here is how to wash a bedspread. Wash the bedspread or comforter using the gentle or delicate cycle in your washing machine. It's best to use cold water. Take it to the local laundromat if the bedspread or comforter is too large for your washer. The washers there are much bigger and for a dollar or so, you can wash the comforter easily. Hand wash the comforter or bedspread in your bathtub. Fill the tub with water and add the same amount of laundry detergent you would add to your washer. Mix well and then add the bedspread. Swish the bedspread around with your hands and wring out. Rinse in clean water then line dry. Try dry cleaning the bedspread yourself. You can buy do-it-yourself dry cleaning kits at the local grocery store or supercenter. Use these in your dryer to clean the bedspread without water.